It is important to know how heavy rainfall may be affecting your septic tank. In times of heavy rainfall, rain water can cause the soil around your septic tank to be oversaturated. This can cause your septic tank to be flooded. A flooded septic tank would cause the drains and pipes to back up and they may be unable to drain properly. 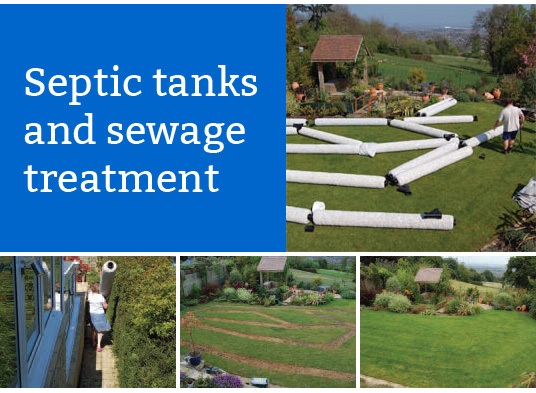 The excess water would collect in the septic tank and eventually find its way back into the drains. Alternatively you may begin to notice water pools on or around the surface which can flow into nearby water supplies. So if your forecast is heavy rainfall, there are ways to prepare yourself before it begins. It is very important that you limit your water usage during heavy rainfall. You should avoid doing any work on your septic system during flooding conditions. If heavy rainfall is expected then you could take preventive steps by pumping your tank out before it starts. You could also minimize your usage of dishwashers or washing machines. You should also avoid flushing non-biodegradable material down to the tank during periods of sustained heavy rainfall. Even with all the preventive measures, you might still experience flooding. If you have been experiencing heavy rainfall, contact an expert to evaluate your septic system.